Custom Wealth Management is a leading firm in the financial services industry. Seeking to reinvigorate their digital presence, the team approached Kogneta to redesign their website. 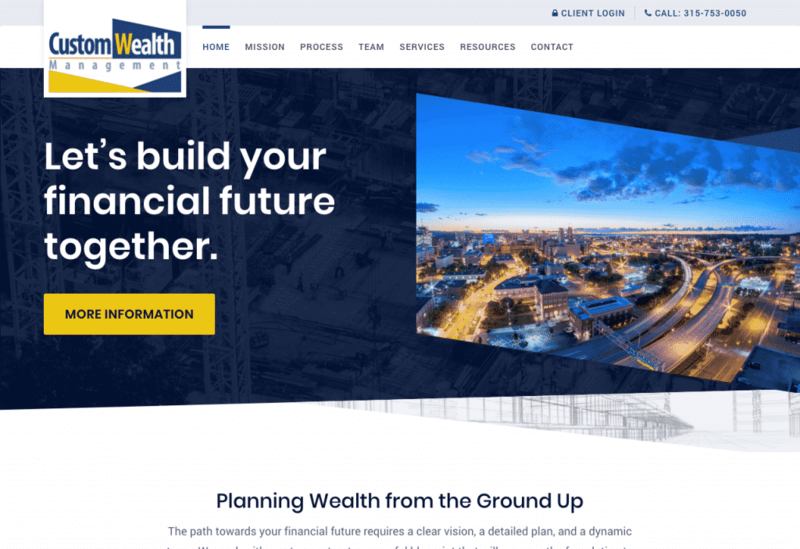 With over 40 years of experience in the financial services industry, Custom Wealth Management was seeking a new website that would allow them to further solidify their practice as a leader in their industry. This new site would need to help educate potential clients not just about the services that they offer but, on how to become more financially literate without alienating their current client base. We interviewed each member of the Custom Wealth Management team to gain an intimate understanding of the services that they provide, what sets them apart from the competition and who their customers are. Armed with this information, we developed an intuitive site architecture and user centric design that would allow them to attract and educate potential clients while providing an easy way for current clients to access their financial accounts. Working with the Kogneta team to revamp our website was a pleasure. We had an outdated website that poorly represented our firm. Kogneta thoroughly interviewed our team to get a true idea of who we are and what we do and produced a clean, organized, modern look website for us. With constant communication throughout and timely responses to necessary revisions, the Kogneta team was not only professional, but they were able to educate us on recommended layouts and solutions specific to our needs. 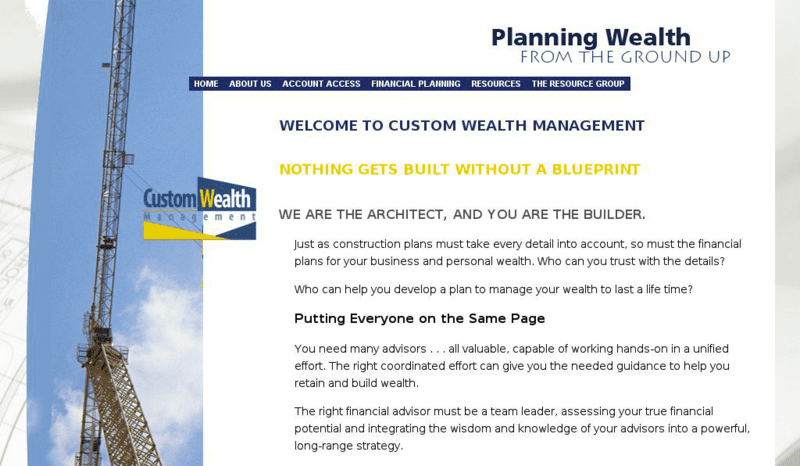 With the launch of Custom Wealth Management’s new website, they have been able to provide an educationally focused resource while allowing current clients to intuitively access their account information. Using responsive design, they are now able to provide a seamless user experience whether a visitor is accessing their site through a desktop or mobile device. Do You Want to Reinvigorate Your Brand?